Braided from bust PTFE filament and impregnated with PTFE dispersion. 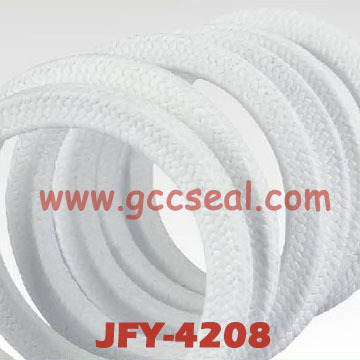 It has the better internal structure, higher cross-sectional density and structural strength than traditional PTFE packing. Multipurpose packing widely used in piston pumps, mixing agitator, the reaction to push, industrial and chemical industries with the valves. For a variety of media, including corrosive medium: hot and cold water, steam, solvents, oil, grease, dilute acids and alkalis, salt water, sewage and so on.